Encore Enterprises, Inc. provides full property maintenance, renovation and restoration services. Our long relationships with experienced vendors have provided quality maintenance, repairs and replacements for our properties and clients for the better part of 20 years. Along with our vast resources for contractor type services, our “handymen” services are on par with the services of a licensed contractor. 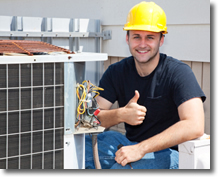 We are now making our maintenance services available to individual homeowners. Anything on the INSIDE of their homes that is not covered by the Homeowner’s Association can now be serviced by Encore's competent service personnel. To process a property services request CLICK HERE or call us at 818-264-7434. Your request will be processed and you will receive a scheduling communication within 24 hours. Building Management has been the cornerstone of our company since our inception.We tailor our service to meet the needs of each individual client. Contact us to discuss a personalized management plan. Encore Enterprises, Inc. has been providing professional Leasing and Brokerage services as licensed Real Estate Brokers for 30 years. We have serviced the asset management and leasing needs of owners and entities for over 20 years. Contact us today to find out how we can better assist you.